The museum will take this as an opportunity to reconsider and revamp how it displays its collections. Art by female, Latino, Asian, African American, and other artists who have been overlooked from the canon will be given greater prominence in the new gallery spaces across the fifth, sixth, and seventh floors. While those spaces will retain a chronological narrative, the museum will begin displaying different mediums in juxtaposition, instead of having dedicated galleries for painting, sculpture, architecture, design, photography, performance, film and works on paper. The inaugural exhibitions opening on October 19th will feature work by Betye Saar, Pope L., and a survey of Latin American Art. The expanded museum will also include a new two-story Studio for live and experimental programming, including performance, dance, music, moving image, and sound works. On the second floor, the Platform will be an educational space for visitors to make art and engage in conversations. “We’re trying to make a visit to the museum a comfortable, enjoyable experience that lets you move back and forth from looking at art to talking about art to thinking about art,” Lowry said to the New York Times. The museum has budgeted to account for the four months of closure and will keep MoMA PS1 open throughout that time. A $100 million donation from entertainment mogul David Geffen and a newly announced $200 million from the estate of David Rockefeller will aid the transition. 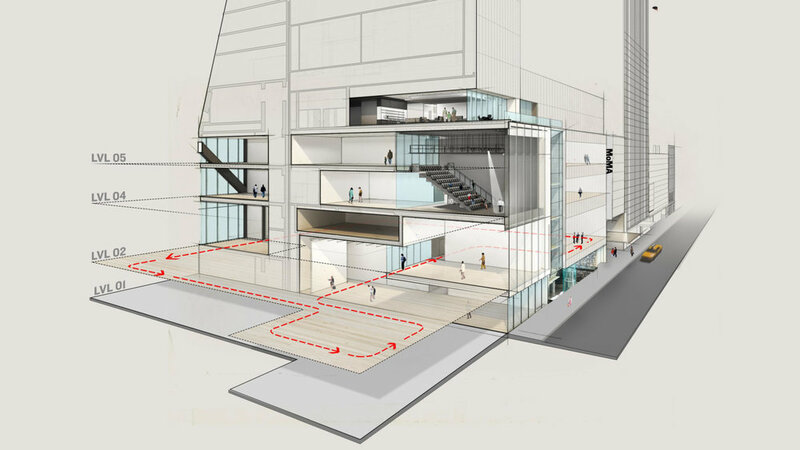 MoMA is also partnering with the Studio Museum in Harlem to present exhibitions at MoMA while its own building on 125th Street is under construction. The first exhibition at the “Studio Museum at MoMA” will feature Kenyan-born artist Michael Armitage. The Museum’s final day of general admission will be June 15, 2019, and all of its spring exhibitions will close on that day. According to Grub Street, you’ll still be able to visit the museum for dinner, as Danny Meyer’s restaurant The Modern will remain open throughout the duration of the renovations. 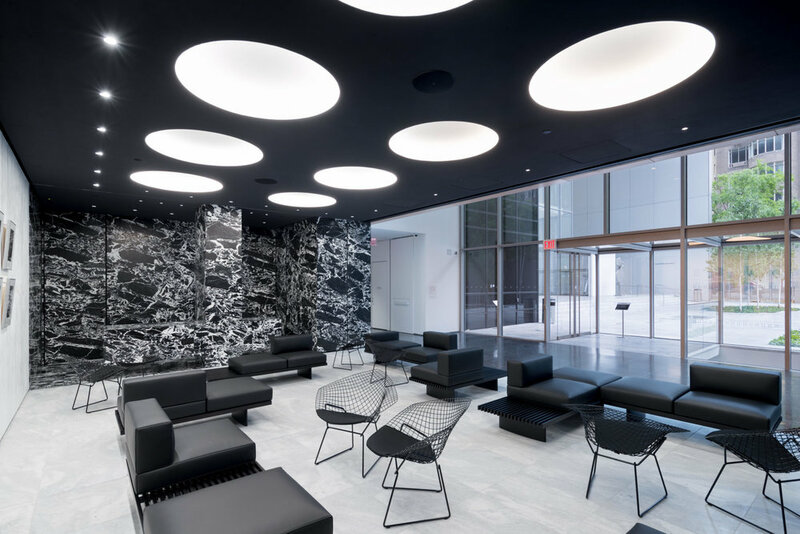 The new MoMA will open earlier to the public, at 10:00 a.m and offer extended hours until 9:00 p.m. on the first Thursday of every month.